Expand your knowledge in Dental Hygiene with our Bachelor Degree Completion program in as few as one or two years. The Bachelor of Science in Dental Hygiene program at TJC is the only one of its kind offered at a community college in Texas. 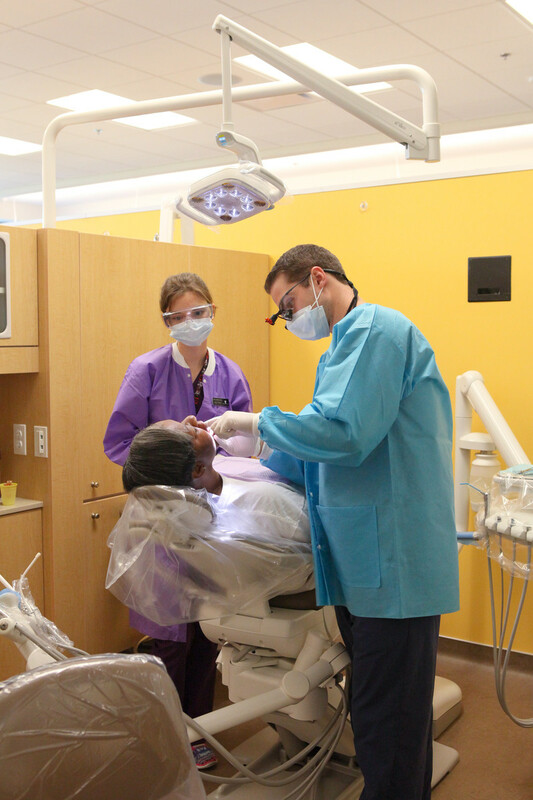 This program is for licensed dental hygienists seeking a bachelor's degree. In addition to advancing your dental hygiene knowledge, our program provides you the liberal arts foundation to pursue additional career opportunities in education, research, administration, clinical and public health. Take the next step in your career by earning your Dental Hygiene Bachelor of Science degree from TJC. Our program integrates dental hygiene, public health, education, educational methodology, inter-professional collaboration and management skills with the completion of your general education core. A bachelor’s degree in dental hygiene offers multiple career opportunities in a variety of settings. In addition to treating patients directly, dental hygienists also work as educators, researchers, community project coordinators and administrators. TJC is an open admissions college; however, acceptance into the Dental Hygiene Program is limited. Please submit a Selective Admissions Application to be considered for admission.